I've been developing iOS apps since the iOS 3.0 days. I learned Swift when it first released with the help of exercism.io. I enjoy helping others learning the language, I always seem to learn a bit more myself. I've built a couple of iOS apps in Swift, and love the syntax. It truly is my favorite strongly-typed language to work in. I'm excited to share what I've learned, and learn alongside others! I'm an experienced iOS Developer and used Swift in many projects. 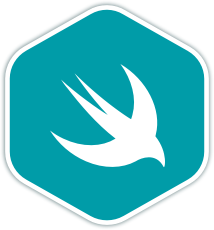 Swift is the most lovable programming language I've ever developed. For, it's so modern, incredibly fast and safe by design.